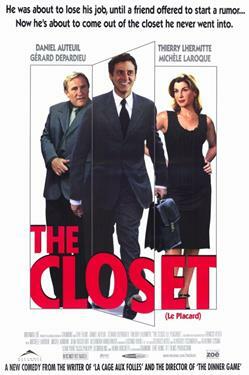 Forty-something Francois Pignon, who has worked for years as an accountant at the same contraceptive manufacturer, becomes suicidal when he learns that his company is downsizing and he is about to lose his job. Work means everything to this gloomy and boring little man since both his wife, who has just left him, and their 16-year-old son avoid him. But things are about to change when Pignon's psychologist neighbor persuades him that he can save his job by coming out to his employers as a gay man -- even though he isn't.